Thought I would do a Thursday update now that we are back home. High pressure is over the west and will slowly weaken through Friday. This means continued above normal temperatures but a degree or two of cooling each day. Winds will be light nights and mornings and southwest to northwest in the afternoon. 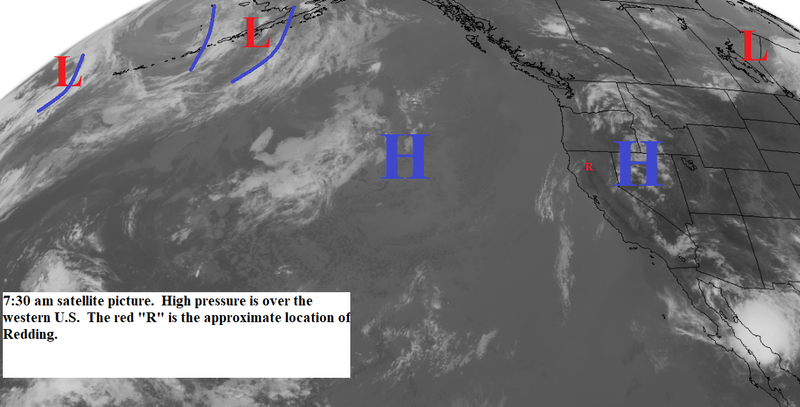 Saturday and Sunday a low pressure trough will move into western Canada (see map below). This will bring further cooling with temperatures below normal by Sunday. The trough will also bring increased afternoon south to southwest winds. Monday and Tuesday we will continue to see slightly below normal temperatures as the trough moves slowly eastward. Smoke will continue to be a problem for the at least the next 3 ro 4 days. The fires are still active and the upper level west winds will continue to dump it in the valley.